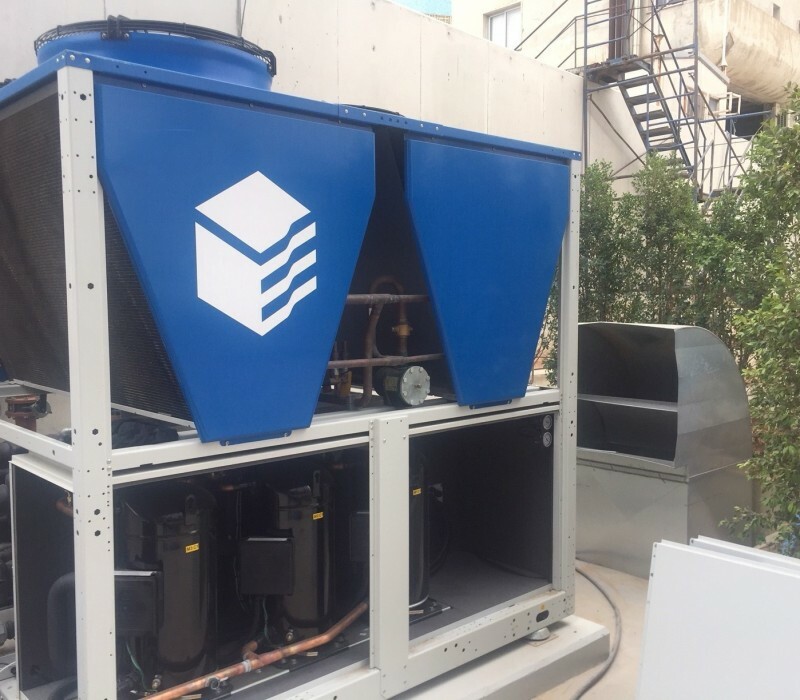 HORSH TABET conference center, served with Two BLUEBOX Chillers, Qty=1, TETRIS2 24.3 LN 2PS and Qty=1, TETRIS2 16.2 HP LN 2PS, Each chiller with integrated set of Twin primary pumps and storage tank. 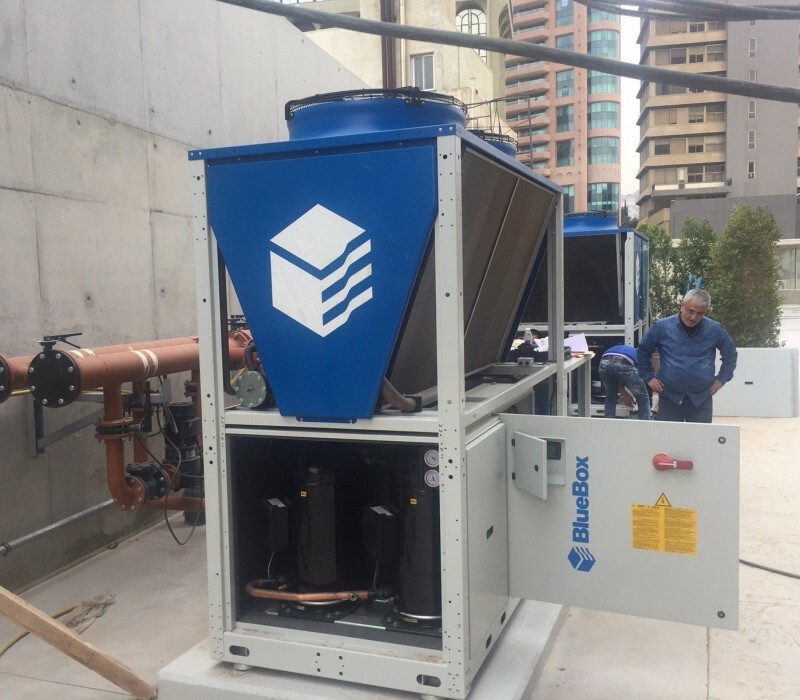 The Center consists of a Gym, showers, Sauna and steam room, Four independent conference rooms , One Large Lecture Hall, a cafeteria and a commercial kitchen. 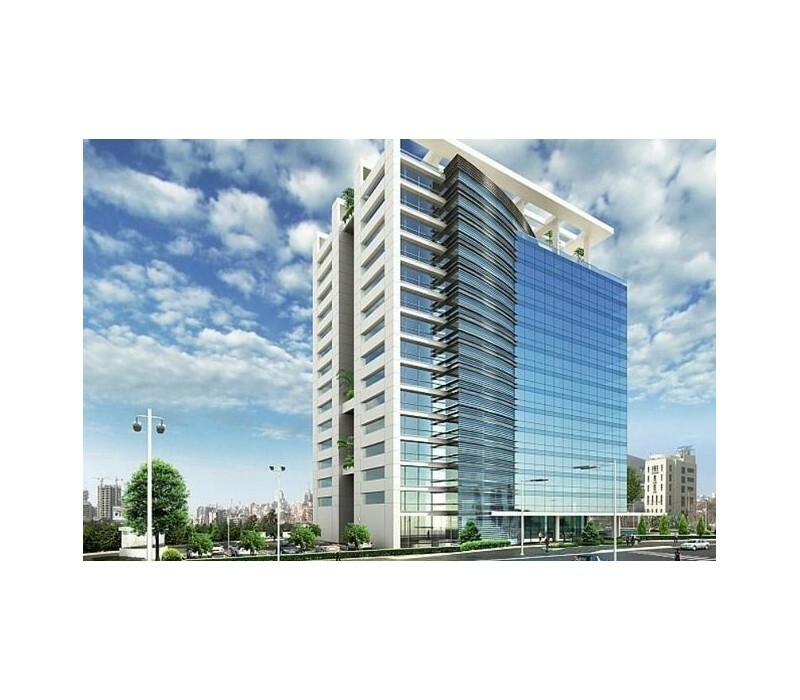 The Center is in the heart of Beirut Business district and is occupying the two basements of a new office bldg.